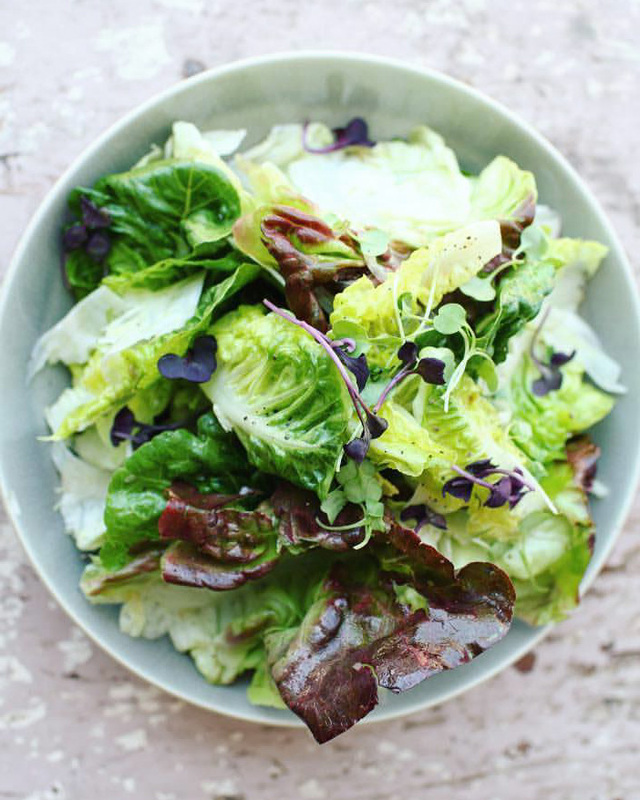 Mixed greens, always a good idea. Image courtesy of Botanica. 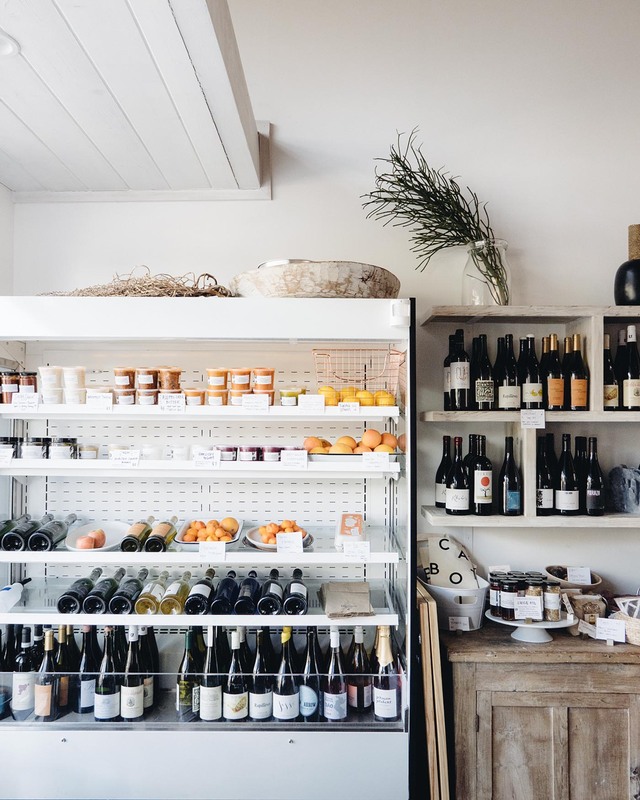 Botanica carries a small selection of food items, natural wines and flowers you can purchase to take home. The signature pale pink wall manages to be fresh and cozy at the same time. It serves as the perfect background to all the colorful food. 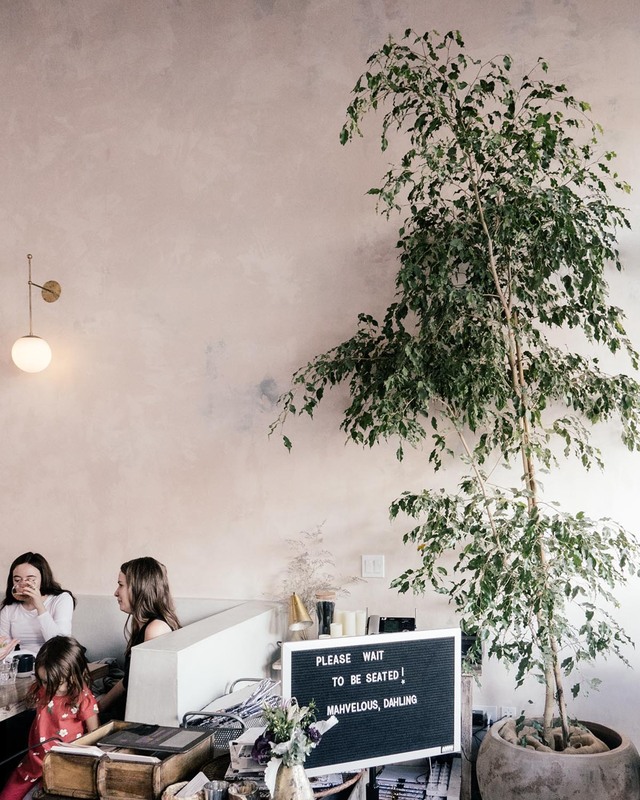 I recently learned that many of the hottest California restaurants are owned by women, including this gem in Silver Lake: Botanica. We had already decided to eat at Kismet, but a friend who is an expert on LA tips convinced us that we should save Kismet for later. Right now, we would not want to miss Botanica. Botanica used to be a lifestyle magazine that evolved into an eatery, market, wine shop and catering business. As the name suggests, menu is focused on vegetables but the food is not completely plant-based which I like. I want to butter my bread, you know, and eggs, fish and seafood bring a nice balance to dishes heavy on vegetables. And so, the vegetables. I believe that plants that grow naturally, without chemicals, and in the sun are rich in color, taste and lifeforce. There is no way around it. A great deal of the soul-soothing, vitality-boosting properties of California have to do with the climate. At Botanica, vegetables come in all colors and forms, raw, steamed, roasted, you name it. Scrambled eggs are served with wilted hearty greens on the side, roasted carrots with garlicky yogurt. The dark chocolate tart you will find on the dessert menu is made with olive oil. “Our food is, essentially, what you’d eat if you went to a globe-trotting, semi-health-conscious, farmer’s-market-obsessed food writer’s house for a brunch or dinner party”, says co-founder Heather Sperling. The space is airy with pink walls, large windows and a backyard patio. Combined with heartfelt atmosphere, effortless dishes, and principally local clientele, you get a sense of a nice community. Although you do not know the other customers, you kind of feel like you do. Totally inspired of my visit, this weekend in Helsinki, I will try my luck in Hakaniemi Food Hall and buy the best selection of organic and biodynamic vegetables I can find to make this. Feel free to steal this brilliant idea (that I stole from Botanica).